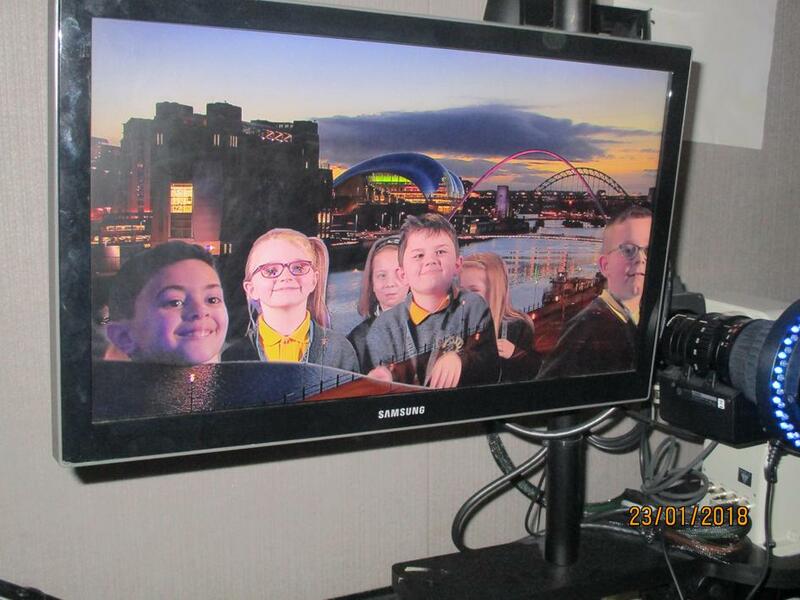 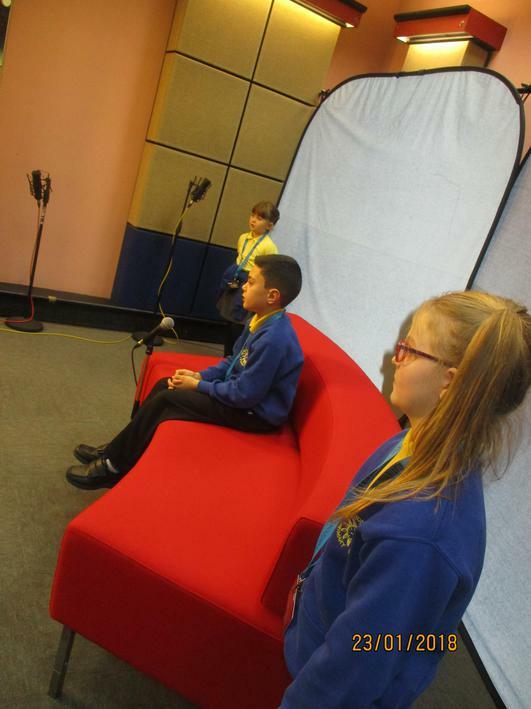 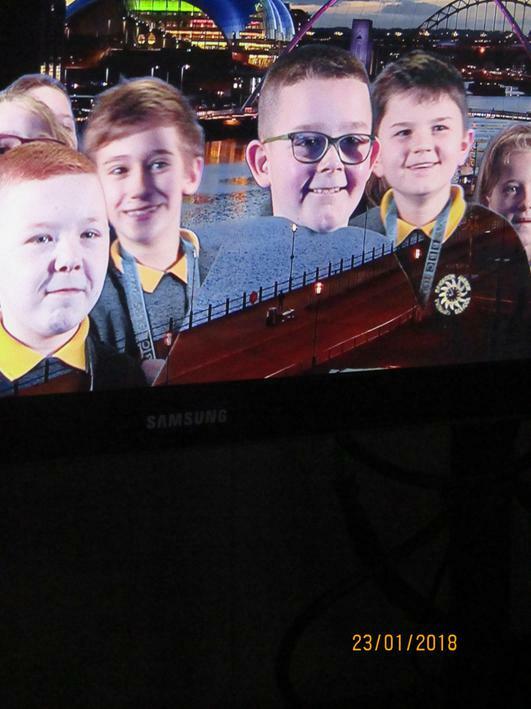 The cameras were set for action, the news stories had been prepared and as the clocks counted down Y3/4B were ready to step into the shoes of a news reader and a weather presenter. 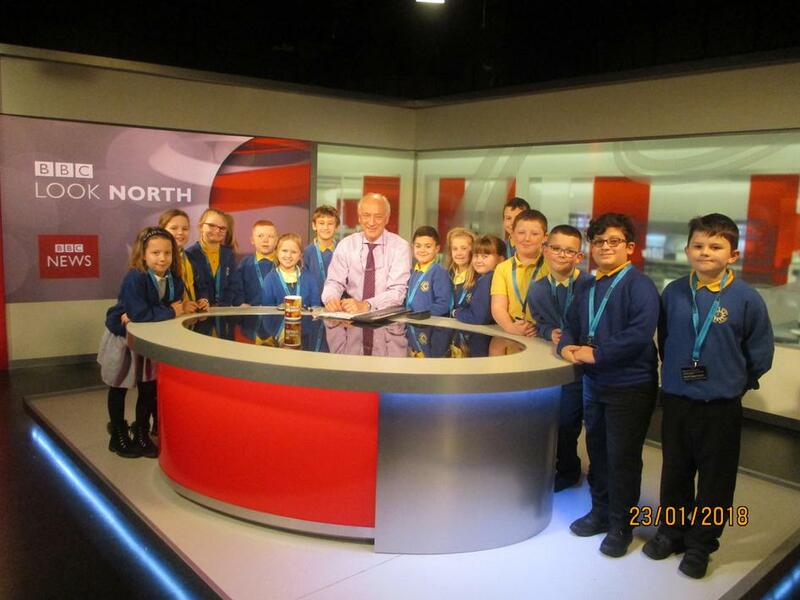 We went inside ‘The Pink Palace’, as the building is affectionately known, where Look North, Sunday Politics and Inside out is filmed. 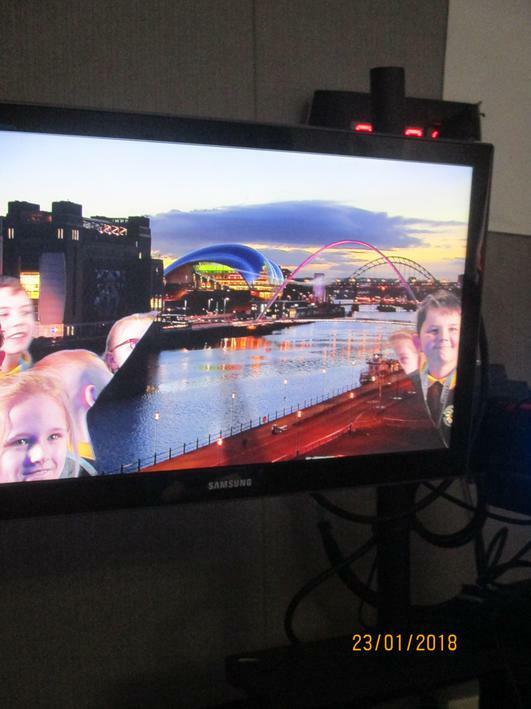 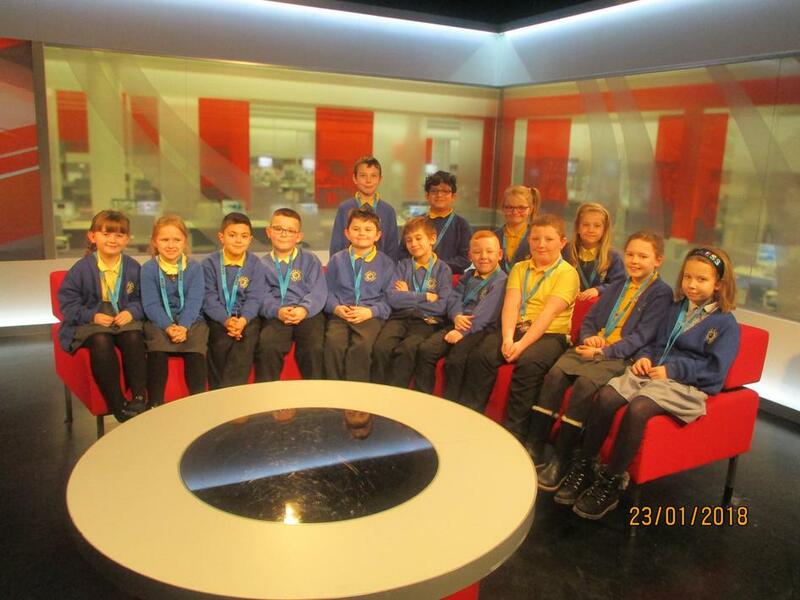 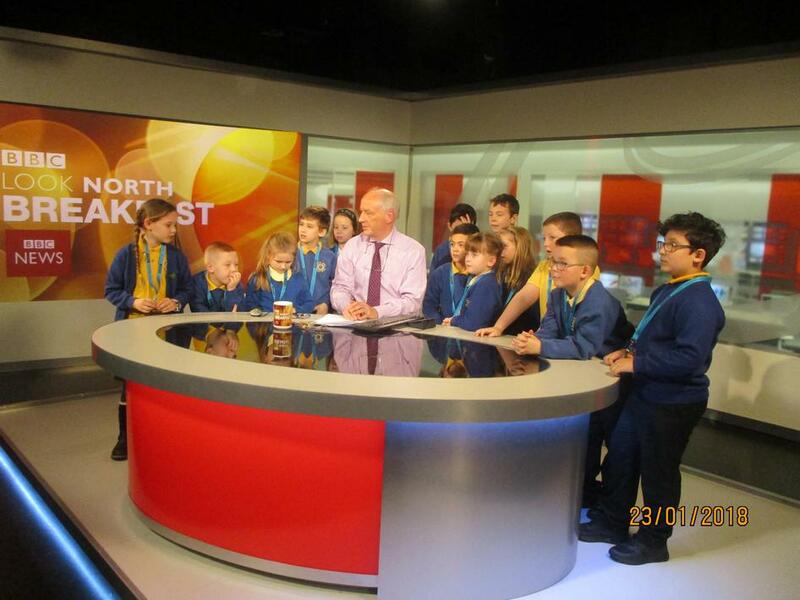 Whilst in the Look North studio, the children got to meet Colin Briggs, who is the BBC breakfast and lunchtime news reader, and they asked him questions to further their knowledge. 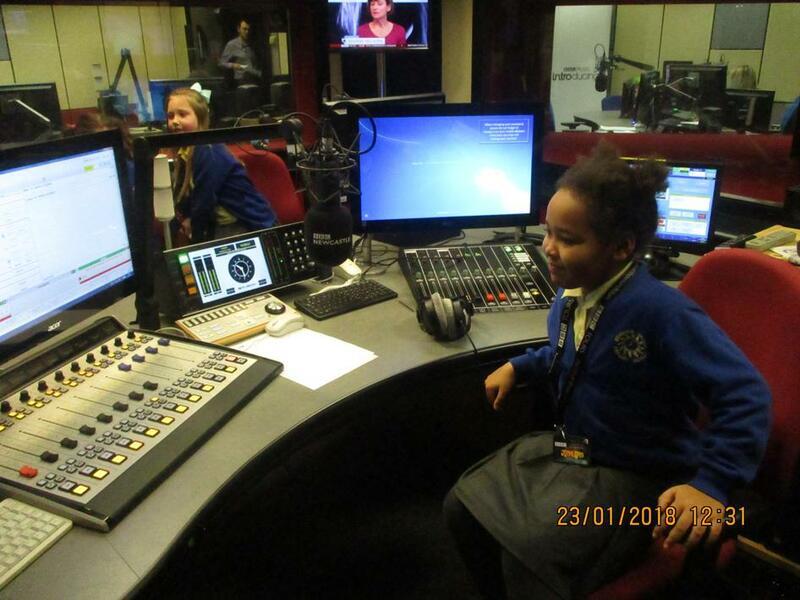 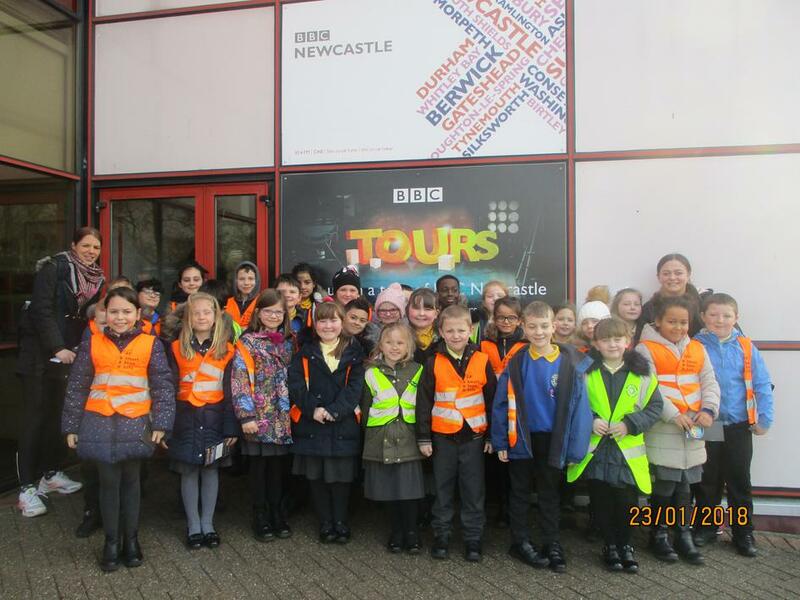 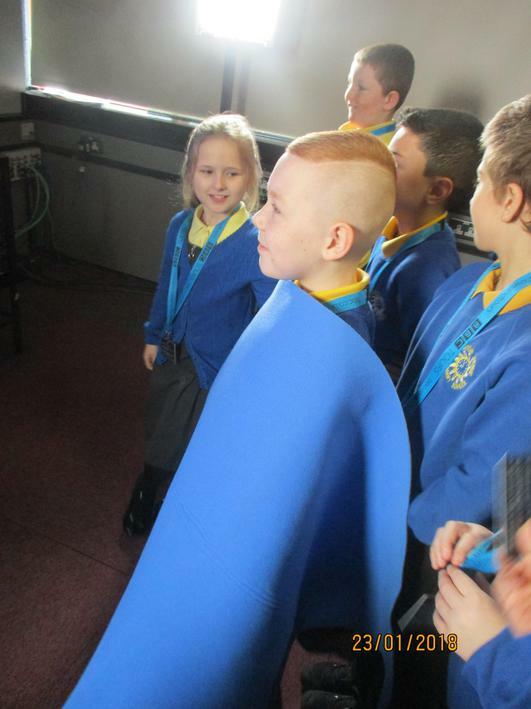 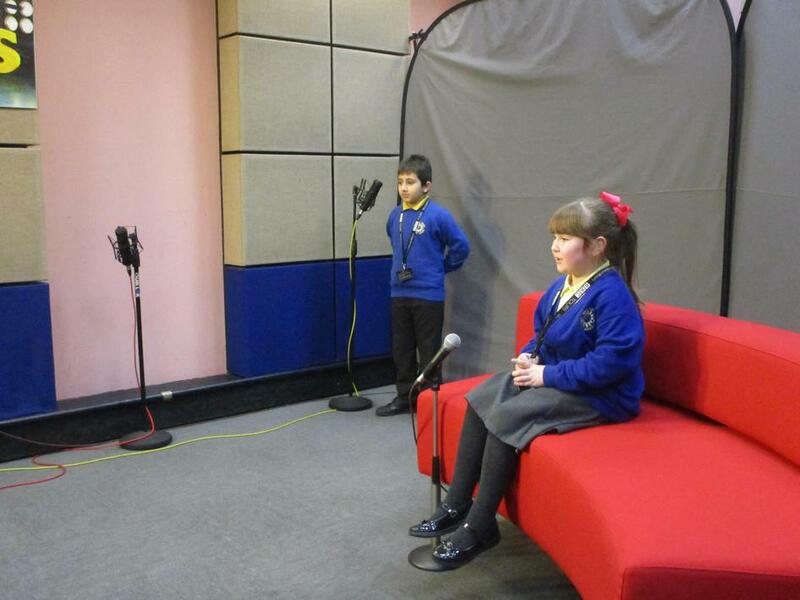 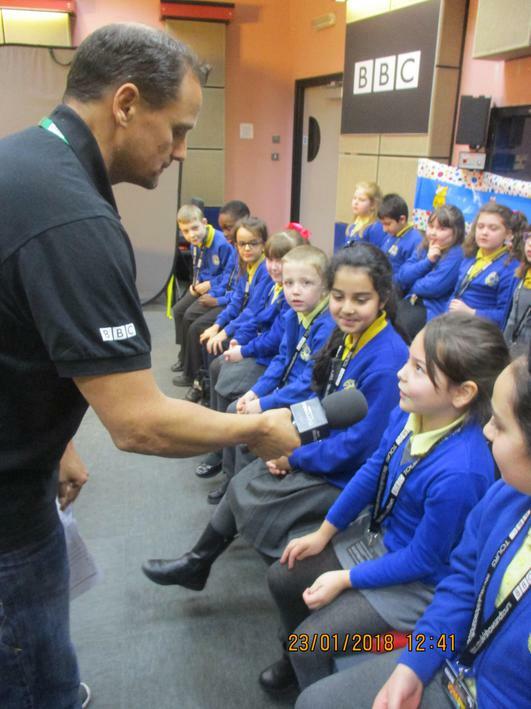 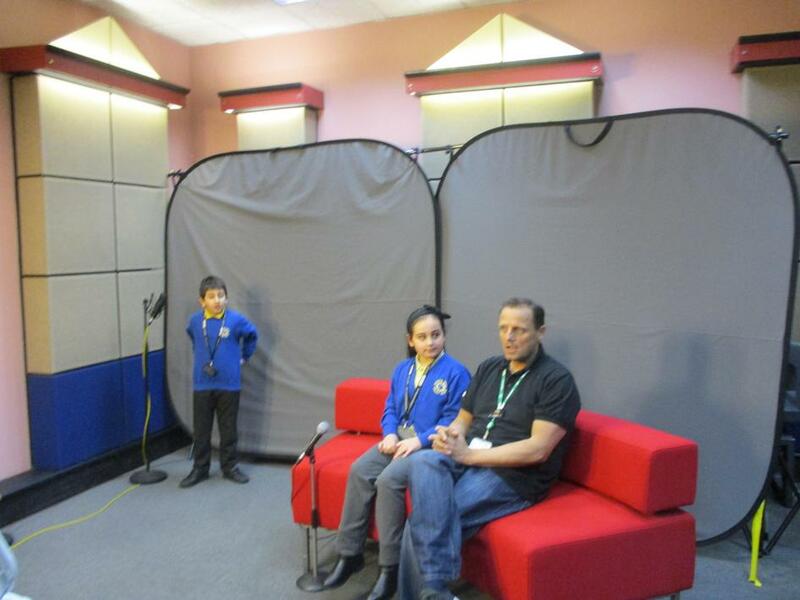 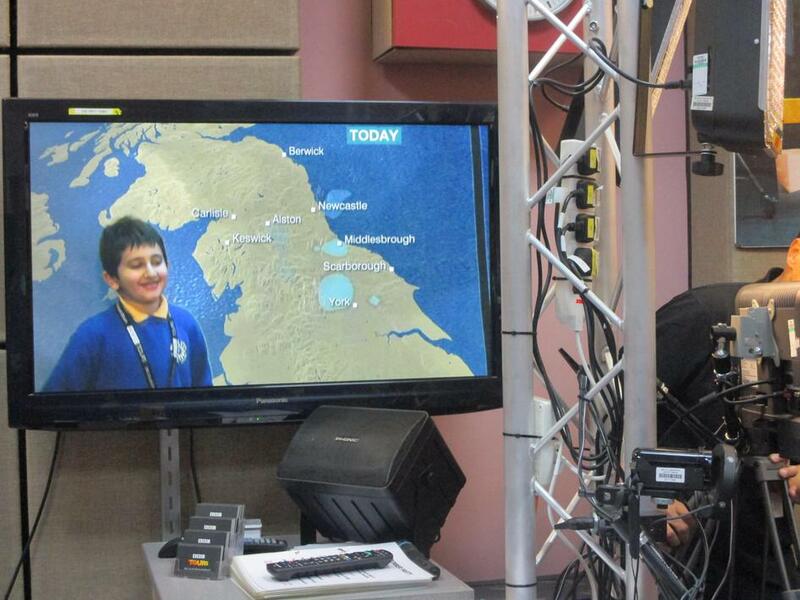 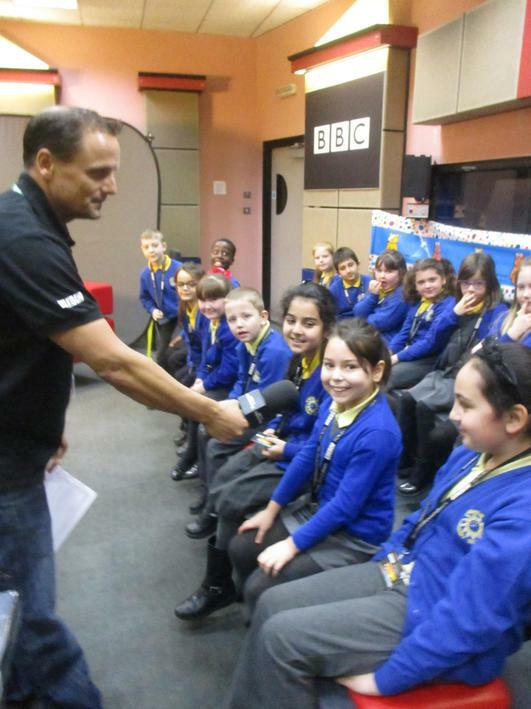 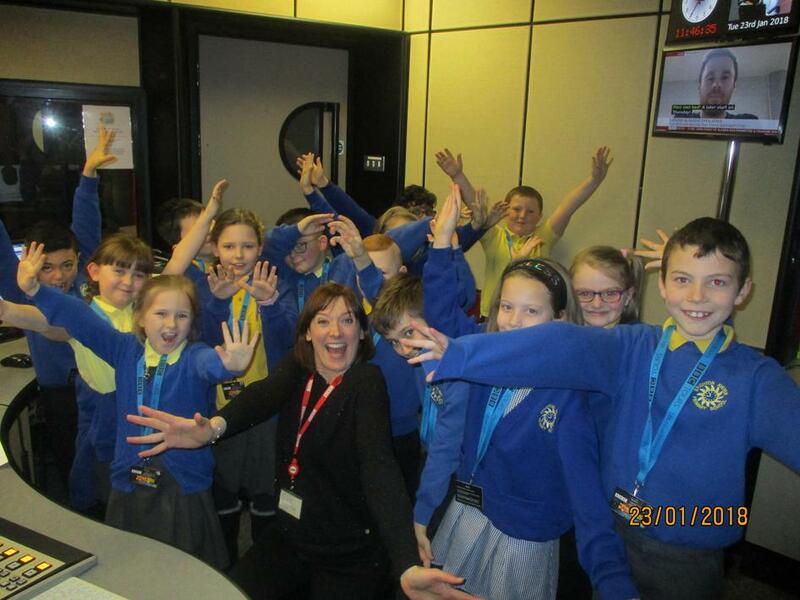 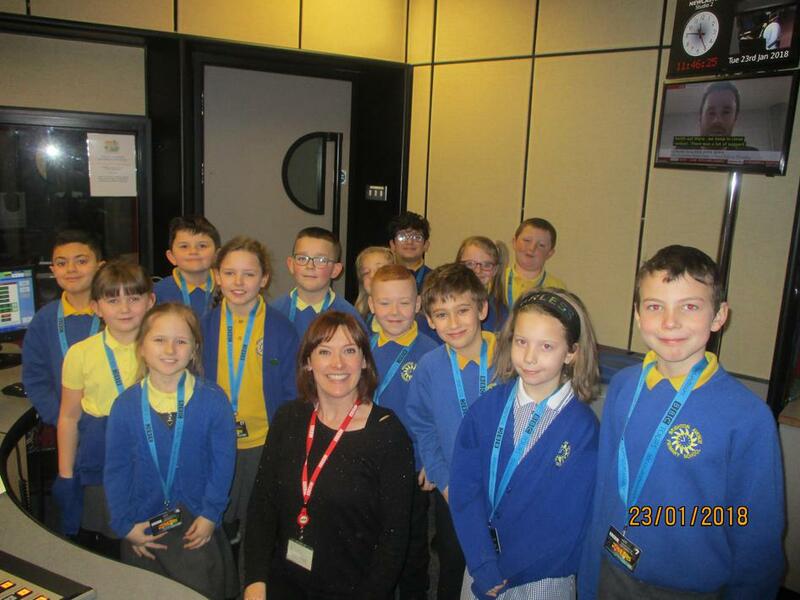 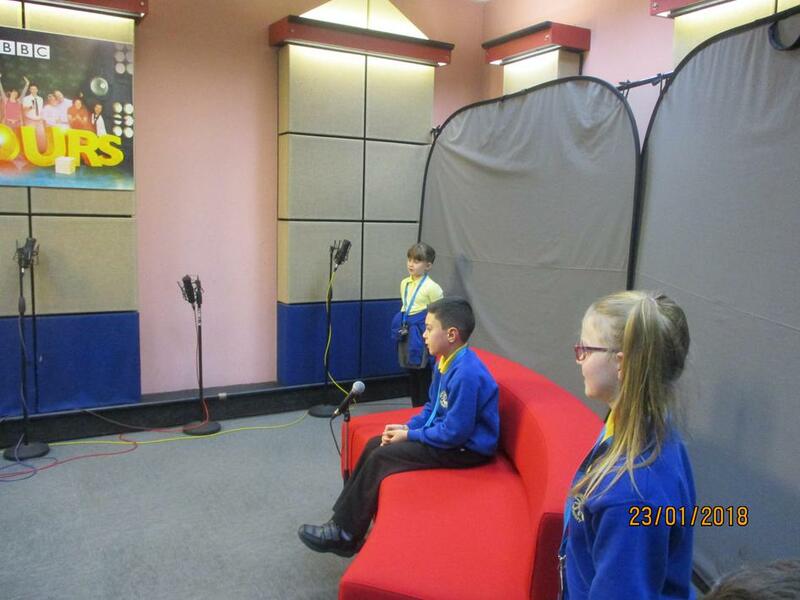 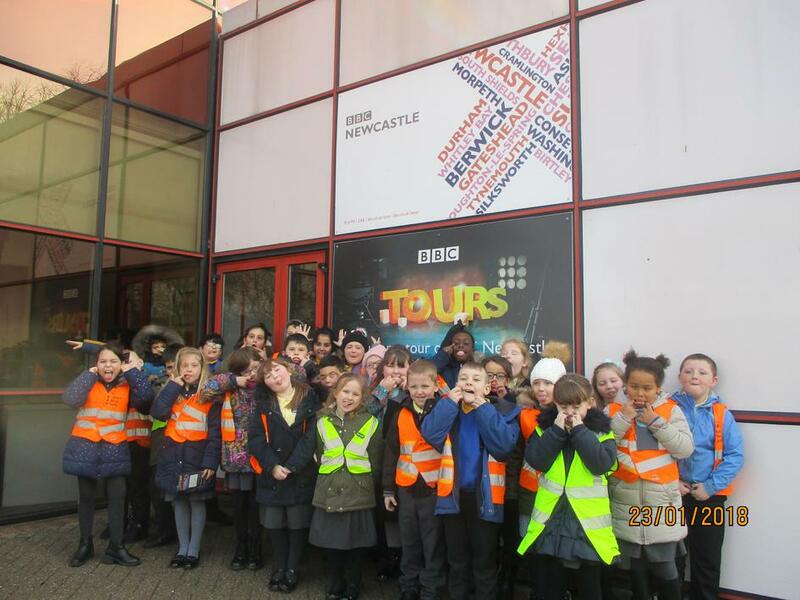 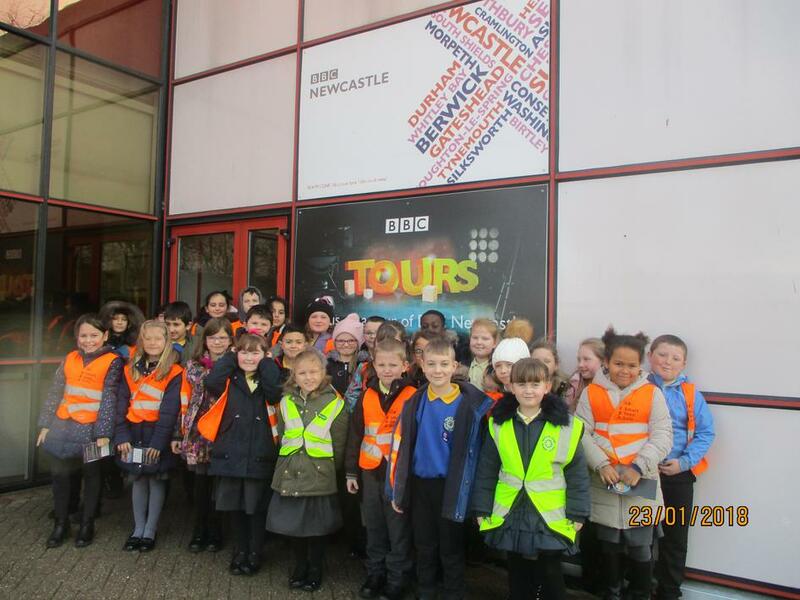 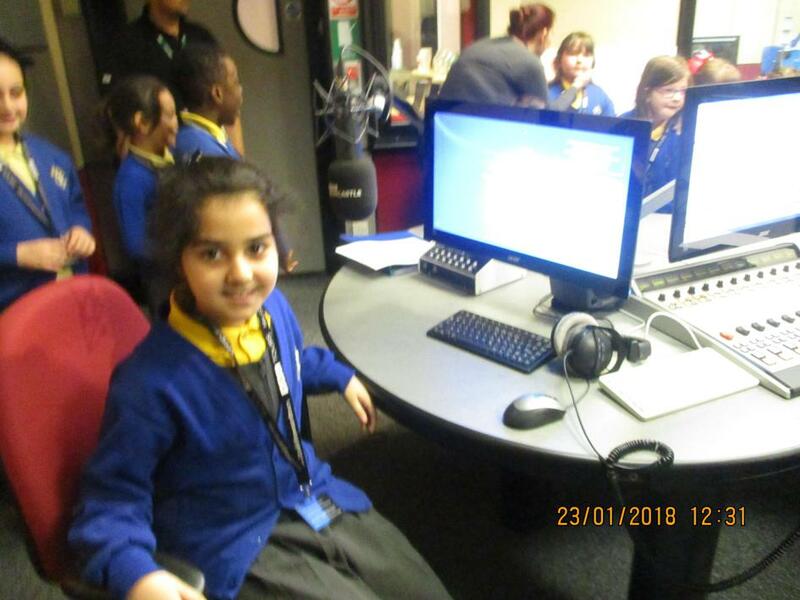 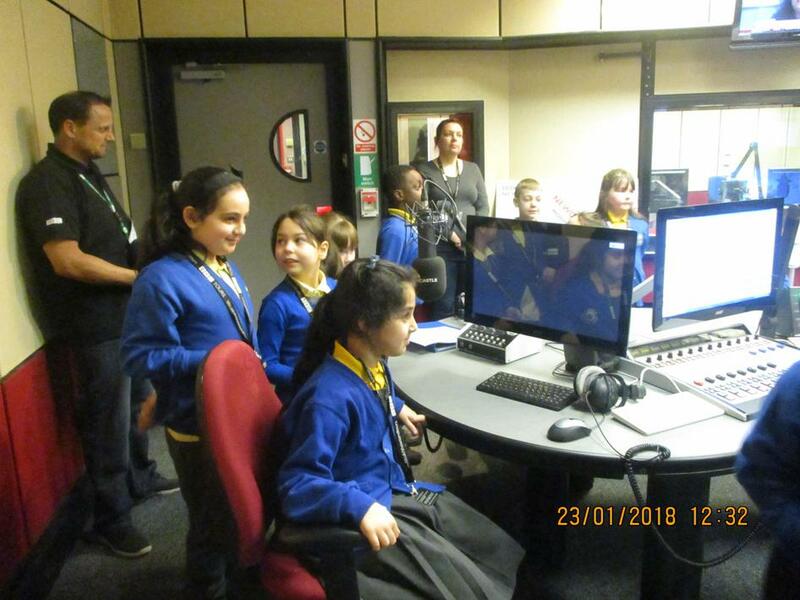 The children also learnt about how radio shows were made and what it takes to be the perfect weather presenter. 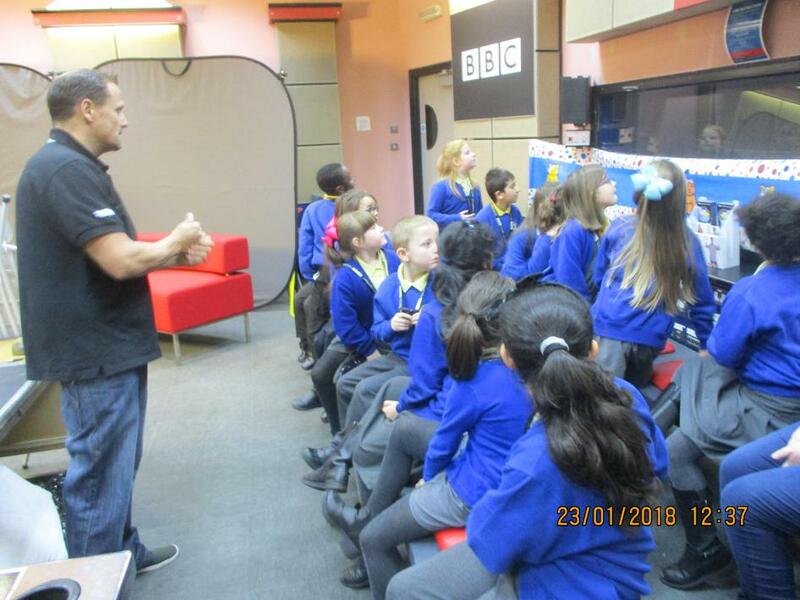 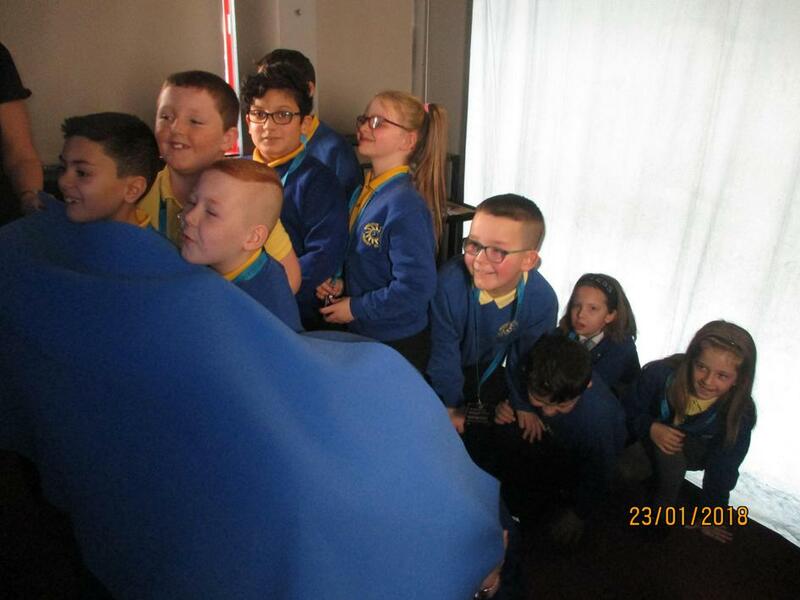 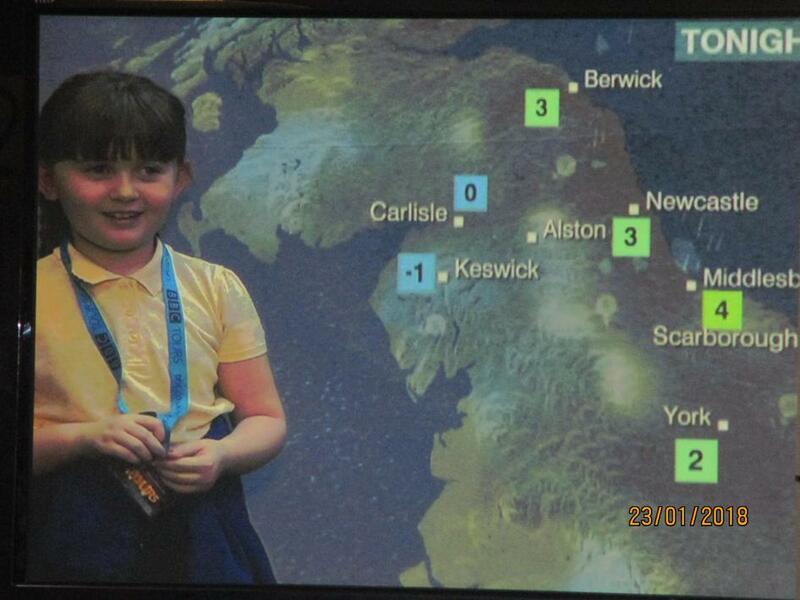 Our children had the opportunity to have a go at being a weather presenter and some children found it harder than they thought it would be. 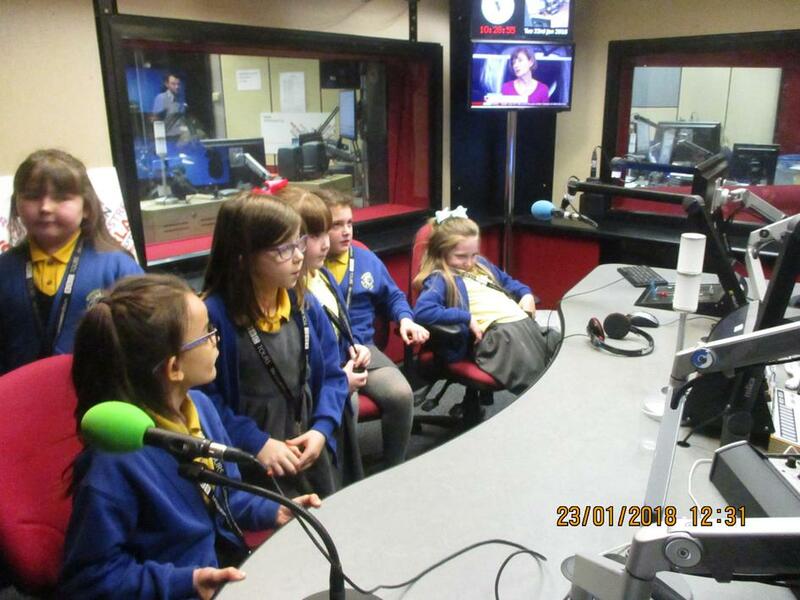 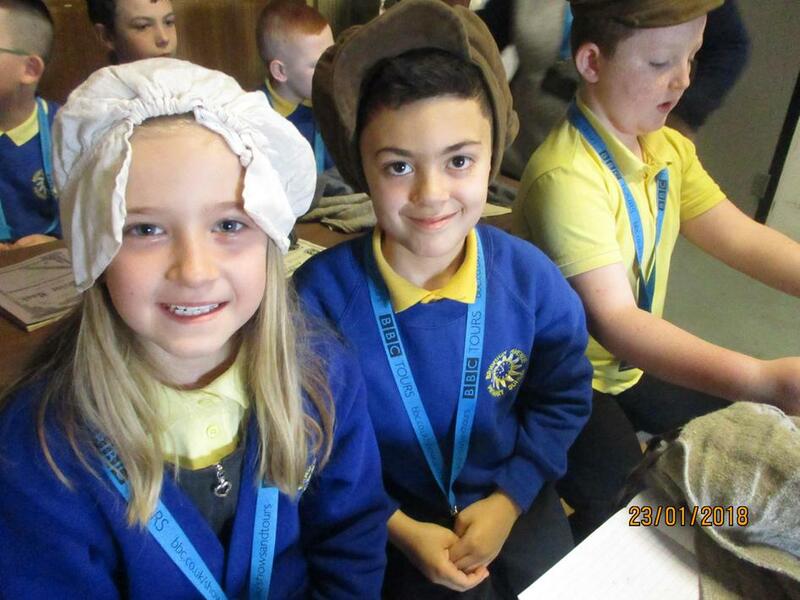 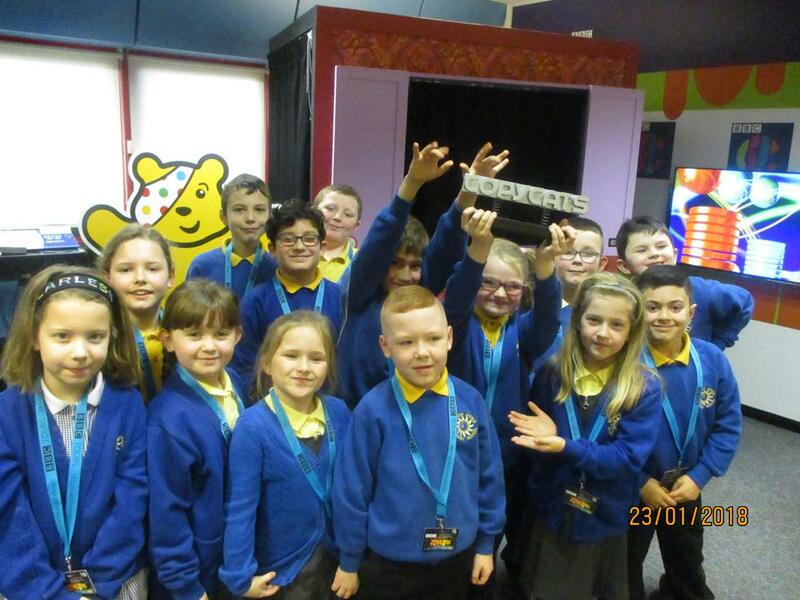 The children were able to listen to a radio show being made live and they even got a special mention! 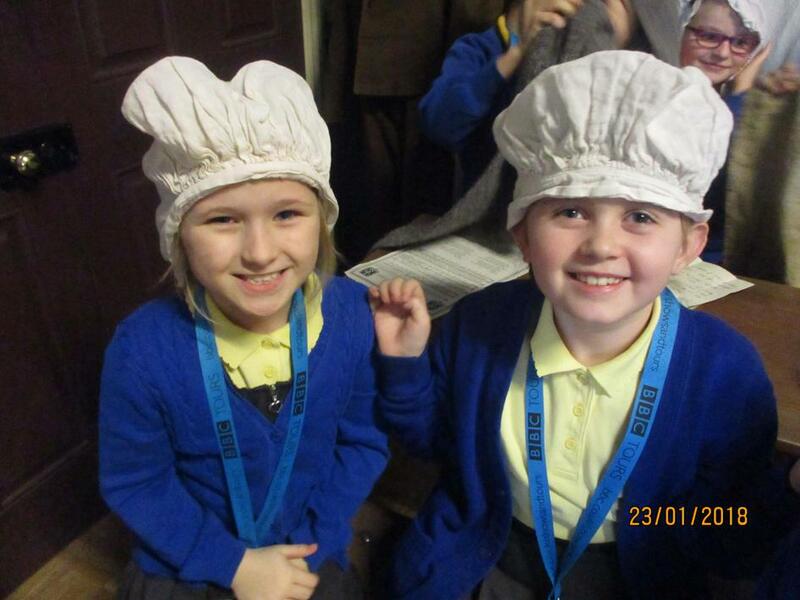 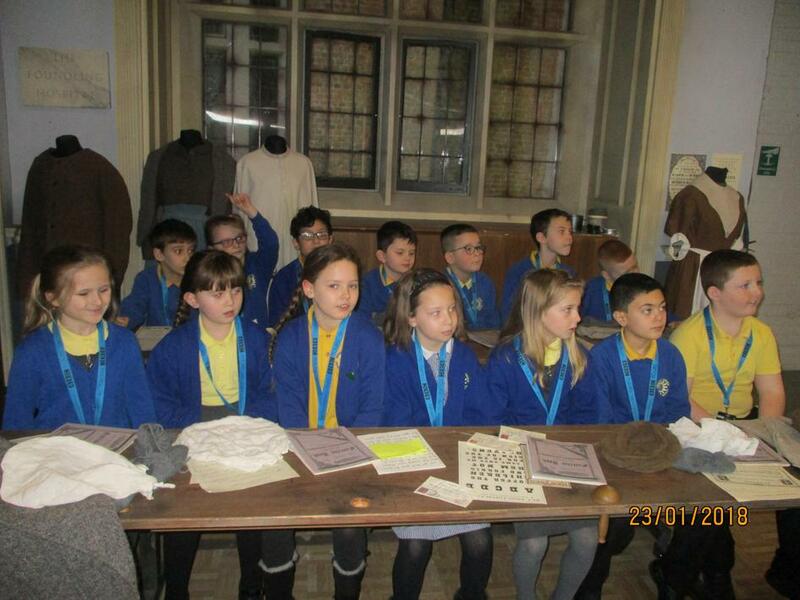 All the children had a fantastic time and want to return again!